Have you given up the dream of taking your family on that perfect vacation you kept on planning for years, yet never really found the time or necessary resources to make it happen? Well, it is about time you discovered the benefits of choosing one of our many RV Rentals in Florida. We have the perfect solutions in store for all travelers wishing for an unforgettable holiday in the Sunshine State. The issues that might have concerned you over the years, stopping you from embarking with your family on this well-deserved road journey will no longer be there to bother you anymore. You can forget about the huge travel budget. It was already taken care of by our unparalleled rental prices! Not only that, renting an RV is cheaper than booking hotel rooms, but if any of our competitors can offer you a more affordable RV rental in Florida area, we will make sure you recover the price difference. From the sunny beaches of Miami, to the exciting theme parks of Orlando, to the natural trails of Nazca or the Universal Studios, birthplace of the older classics, like The Terminator and E.T. or the newer Shrek and Despicable Me, Florida offers plenty of recreational opportunities for both singles and couples. All you need is the time and energy required to take its attractions one by one and the budget to move around freely. For us and for the millions of Americans we are proud to call our clients, moving around freely means driving an RV rental in Florida. Besides the ability to make your own schedule and take along as much luggage as you need, you get to cook your own food and party whenever, wherever and with whomever you want. 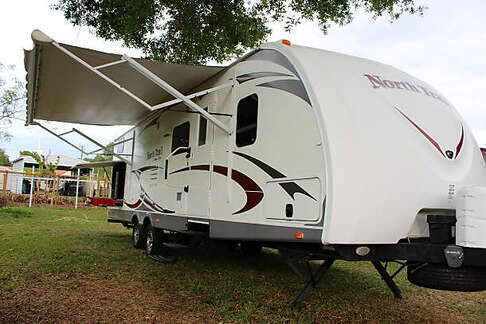 There are lots of RV rental FL camping places close to the main attractions in all major cities, including Orlando, Miami, Tampa, Tallahassee, Sarasota, Daytona, Jacksonville, Fort Lauderdale, Gainesville and Ocala. Orlando Theme Parks - From Disney’s Magic Kingdom to the Islands of Adventure, Sea World Orlando, Aquatica Orlando, LEGOLAND, or Discovery Cove, the “Theme Park Capital of the World” has plenty of thrills available to keep you and your family entertained. Car fans will be more than excited to make a stop at the Fort Lauderdale Antique Car, where they can admire classic models from as early as 1909, including more than twenty pre-war Packard motor vehicles still in operating condition! Key West Butterfly and Nature Conservatory - Over 50 species of butterflies and 20 exotic bird species in the midst of a most spectacular paradise of flowers, waterfalls and luxuriant trees will make the delight of your RV rentals in the Florida area. You also have a wonderful place to buy beautiful souvenirs for your friends and families. Siesta Bay RV Resort - Packed with generous amenities, including whirlpool, exercise room, pavilion, Wi-Fi internet access, laundry facility, snack bar, restrooms and self-service RV wash, this is the perfect RV rental FL campsite. Why Choose Campanda to Rent an RV in Florida? All the years of providing excellent services, unbeatable customer assistance and an overwhelming range of vehicles to choose from have built us the reputation of a unanimously acknowledged global leader in the space, pick your optimal RV rental in Florida today! Thirty-two countries to choose from and over 800 pick-up locations will make even the more reluctant trippers pack up their bags and get on the road in no time at all. Don't add wear and tear to your personal car when you can enjoy the multiple perks that only Campanda offers you in an RV rental in Florida. No need to change hotels down the road. Are you tired of all those stops along the route in search of a decent place to spend the night? Are you worried about having to recalculate your fixed budget because of unexpectedly expensive locations along the way? Why go through all that hassle over and over again when you have much better options? Impressive inventory and online selection facilities: Do you feel overwhelmed by our 25,000 vehicle-offer? Our user-friendly interface allows the most selective customers to browse the inventory and compare the existing models based on their own criteria, including vehicle size, make, number of seats, available amenities, price and so on. Extra cargo space: The days when you had to stuff all of your belongings in the trunk or give up taking on your trip some of the things that could really make it more enjoyable are gone now. With Campanda's RV Rentals in Florida, you will have plenty of room for everything you want, from luggage to surfboards, bikes or additional storage carts. Extra living facilities: Unlike RV rental FL companies that offer vehicles with just sleeping facilities, we are committed to making your journey unforgettable, pleasant and comfortable. Many of the campervans on our website include lounge area, TV satellites, air conditioning, and kitchenettes, everything delivered in great style at more than affordable prices. Dedicated Customer Service: Meeting customers’ needs is always a matter of being a good listener, flexible and sufficiently well prepared to answer questions in due time. Only professionals are able to raise the bar that high. The excellent reviews received from our satisfied customers speak of our deep commitment to exceed all of your expectations. You can choose to go for the spacious Class A RVs or save the family money by opting for the more affordable Class B & C vehicles. You can give up the extra amenities in exchange for the incredibly low price and easy maneuverability of the vans we offer. The choice is all yours, and our staff will do their best to make it as easy as possible. No matter what you choose, we will do our best to ensure you will never regret trusting us for your RV rental in Florida! Do you know where you want to go in Florida? Check out our RVs in Miami, Orlando and Tampa.